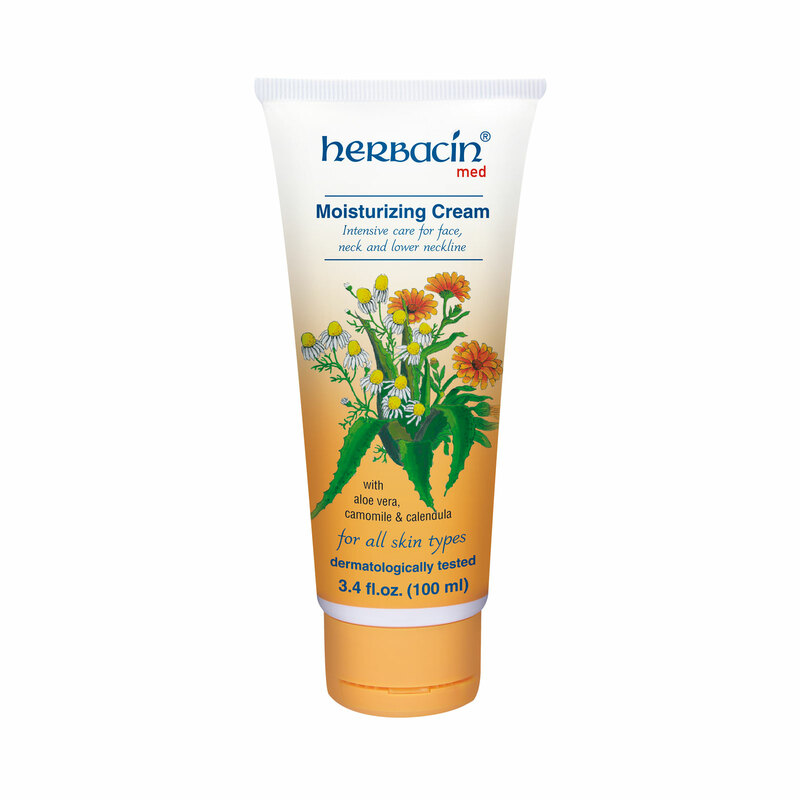 Herbacin med Moisturizing Cream for face, neck and décolleté leaves the skin more radiant and elastic. Herbacin med Moisturizing Cream for face, neck and décolleté intensively moisturizes your skin and makes it look noticeably firmer, more radiant and elastic. Even the finest wrinkles become virtually invisible in no time. The moisturizer’s special care formula with the healing and conditioning powers of calendula, vitamins, vegetable oils and natural extracts of aloe vera and camomile blossoms calms even ultra-sensitive skin prone to inflammation in a particularly soothing way.